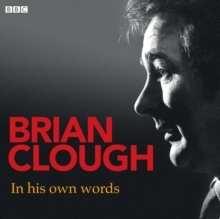 Brian Clough, arguably Britain's greatest ever football manager, died in September 2004 at the age of 69. His passing was marked by a minute's silence at both the Derby County and Nottingham Forest grounds and provoked a wave of tributes from across the sporting spectrum. A memorial service due to be held at Derby Cathedral had to be moved to Pride Park to accommodate the fans' demand for tickets. This overwhelming affection and respect was fully deserved for the man who was often described as being controversial, outspoken and opinionated. 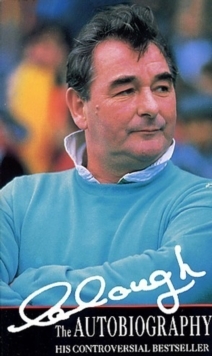 His achievements in football speak for themselves: he took two lowly Midlands sides to the very top, winning two consecutive European Cups, with unfashionable Nottingham Forest, in a feat that will surely never be matched by a club of similar stature. This special edition contains two new chapters, written shortly before he died, which offer his candid and entertaining views on club directors and chairmen and on Newcastle's treatment of Sir Bobby Robson, as well as his scathing analysis of England's recent performances. 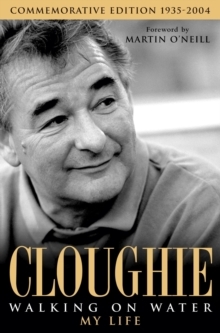 Cloughie also talks honestly about his battles with alcohol and the liver transplant that gave him 21 months of health and happiness.